National cinema chain Hoyts is set to launch an on-demand movie streaming service in a bid to capture the emerging market for on-demand movies before US giant Netflix hits Australian shores. The service, Hoyts Stream, will launch in the first quarter of 2013 offering consumers a pay-as-you-go model for new release and classic movies, and TV content, for viewing on connected devices including tablets and smartphones. Hoyts believes its national footprint, 18 million admissions per year and loyalty clubs consisting of 547,000 members puts it in a better position to leverage movie streaming than its competitors. Telstra’s Big Pond Movies, AppleTV, Quickflix, and Foxtel on Demand are the key players currently operating in Australia, while leader in the US market, Netflix, is understood to be considering a local move. The cinema chain, owned by Pacific Equity Partners, will rebrand its DVD rental kiosk business Oovie to Hoyts Kiosk, setting up three points of access to movies: in the cinema, from DVD rentals or streamed from the net. 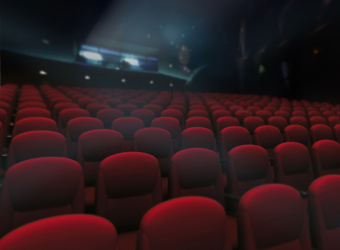 Chairman of The Hoyts Corporation, David Kirk says, “Australians are growing more and more demanding in how they want their movie experience delivered. The convergence of entertainment and technology is exciting and has inspired us to harness digital platforms so as to provide our customers choice for how they consume filmed entertainment from Hoyts, be it on the big screen, small screen or now any screen”. The brand’s Hoyts Rewards loyalty program will be a core part of the strategy, and is being revamped to reward users for any interaction they have with the filmed entertainment business. “We have spent considerable time and investment to ensure we have the right staff and infrastructure in place to support our growth across both Exhibition and Home Entertainment,” Kirk adds.